Ask the seller for service records. 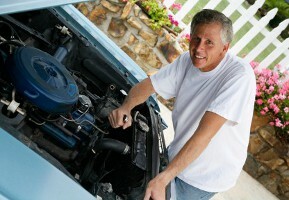 Most owners who document their regular maintenance service visits take good care of their vehicles. Inspect the vehicle thoroughly. Check for uneven tire wear, poor alignment, suspension issues, strange sounds and funky odors. If everything checks out up to this point, bring it in to Express Car Care for a thorough used car inspection. Your helpful and knowledgeable service adviser can give you a heads up on any pressing issues or emerging problems that will need to be addressed eventually. If the seller won’t allow you to do this before you buy…move on. Buy a CarFax report. This will show any major accidents and title status concerns including whether it is a salvaged vehicle. You don’t want to purchase a car only to find out that it was under water for a week after a hurricane. After you have made your purchase, stay on top of regular maintenance and save those records. Express Car Care will help keep your car running well and you will really enjoy not having a car payment. As always, please give us a call or come in and see us if you have any specific questions.